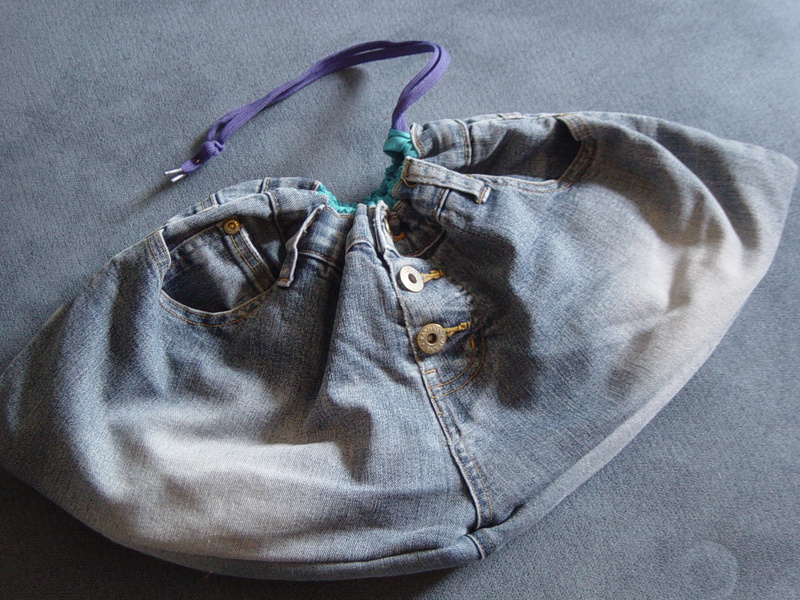 This is my first attempt at recycling an old pair of jeans into a bag. 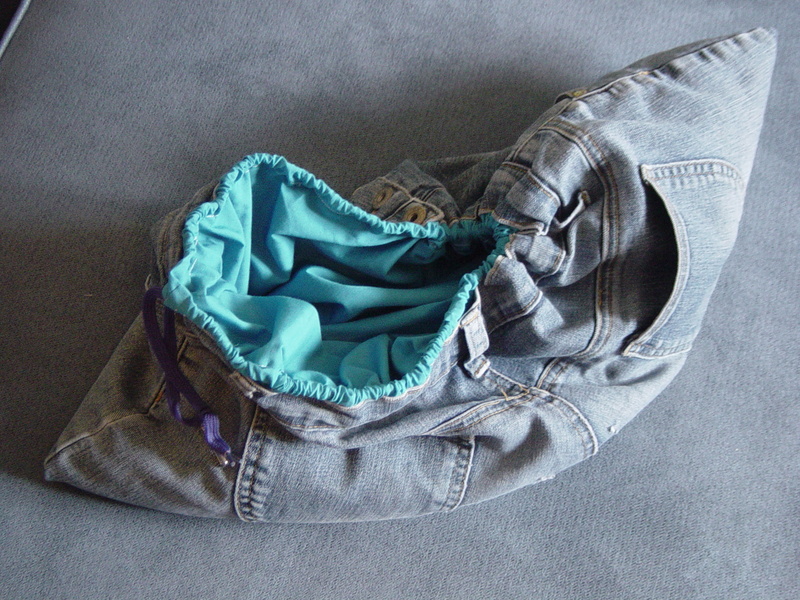 I remember a couple of friends from school used to make bags or skirts by cutting off the legs of old jeans. But when I was a teenager I never had the luxury of having an old pair of jeans to cut up, so have been wanting to try this now I can! For skirts they would sew a large square of material to the bottom after the legs were removed, and kept using the top of the jeans, leaving the buttons as they are. I can't remember if they would line their bags, but I gave it a go here. I haven't lined anything before and I could have done it better, that's for sure! I didn't match the width of the lining with the width of the jean waist so had to gather some lining to make it fit. The hardest part was sewing the lining to the jeans and then threading the cord through the lip I made in the lining. If I was going to do this again, I'd make the lining fit before sewing it, and I'd make the lip for the cord wider.